Today, we went to the Children's Museum of the Desert. They had a grocery store for kids our size. 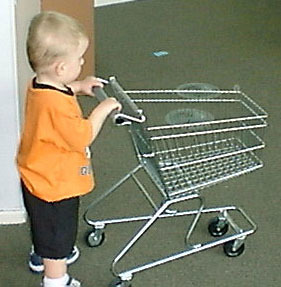 Here I, Brandon, am pushing one of the shopping carts. 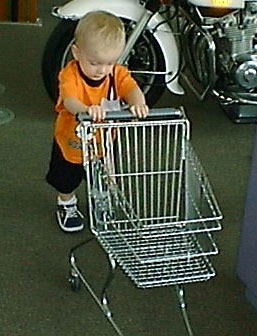 Here's Nicholas with a shopping cart too.